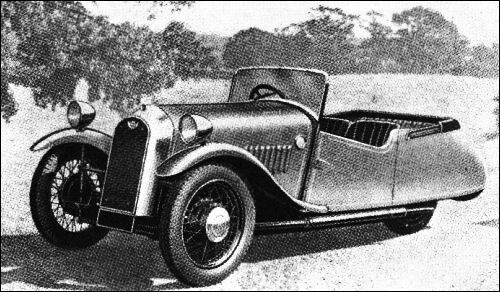 Morgan 4/4 had for some years been powered by a Coventry-Climax 1122-cc four-cylinder F-head engine, but in mid-1939 a new 1267-cc unit was announced. It was a 38.8-bhp OHV Four, specially made by the Standard Motor Co. This engine is continued after the war until 1950. Morgan F-4 is a four-seater three-wheeler with 933-cc 22-bhp four-cylinder side-valve Ford Eight engine. Transmission is by shaft from flywheel through centre bearing (obviating shaft whip) to three-speed gearbox, thence to worm and wheel with single-chain final drive. Wheelbase is 8 ft 3 in, basic price £235 (August 1946). 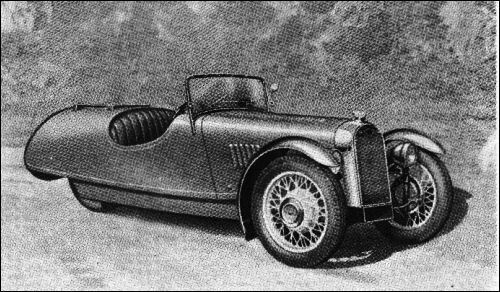 Morgan F Super is basically similar to the F-4 but with shortened wheelbase (7 ft 11 in), 1172-cc Ford Ten engine and two-seater bodywork. It has a maximum speed of over 70 mph and could cruise at 65 mph. The basic price is £260. 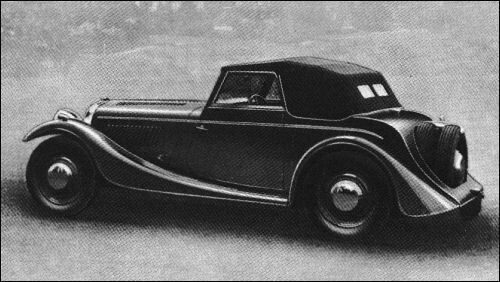 Morgan 4/4 Drophead Coupé has a 38.8-bhp 1267-cc OHV four-cylinder engine, specially made by the Standard Motor Co. and rated at 9.99 HP. The gearbox has four speeds and Girling brakes are fitted. The two-seater bodywork has luggage accommodation inside the folding hood; the car carry two spare wheels. Wheelbase is 7 ft 8 in, overall height 4 ft 3 in. A two-seater Roadster and four-seater Tourer are also offered. Second body styles in four wheeler, two seater roadster, or from 1946, two seater drop head. Drop head has sliding windows and spare wheels mounted vertically in tail.